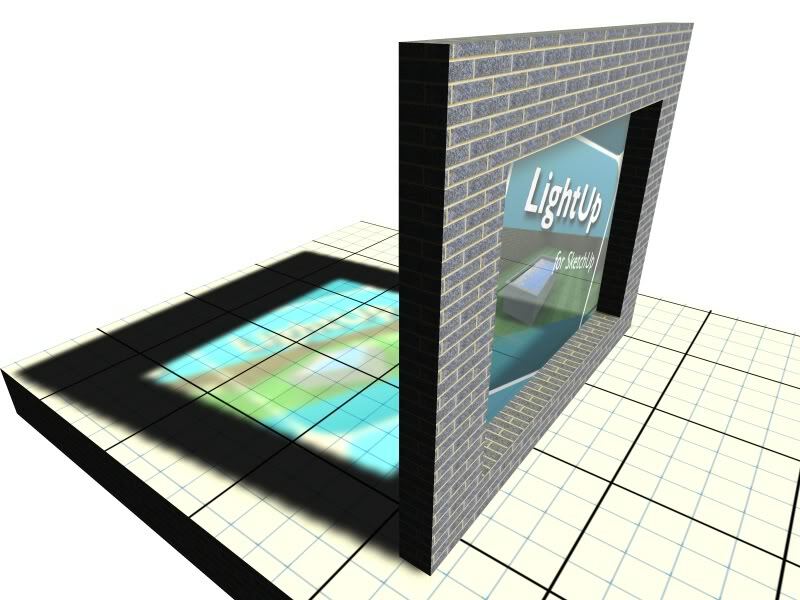 LightUp gives the ability to have realtime walkthrough and flythough of your fully lit model, all running inside the SketchUp window. Simply place light sources in your Sketchup model switch to Touring mode and you can explore how your model looks from any angle. 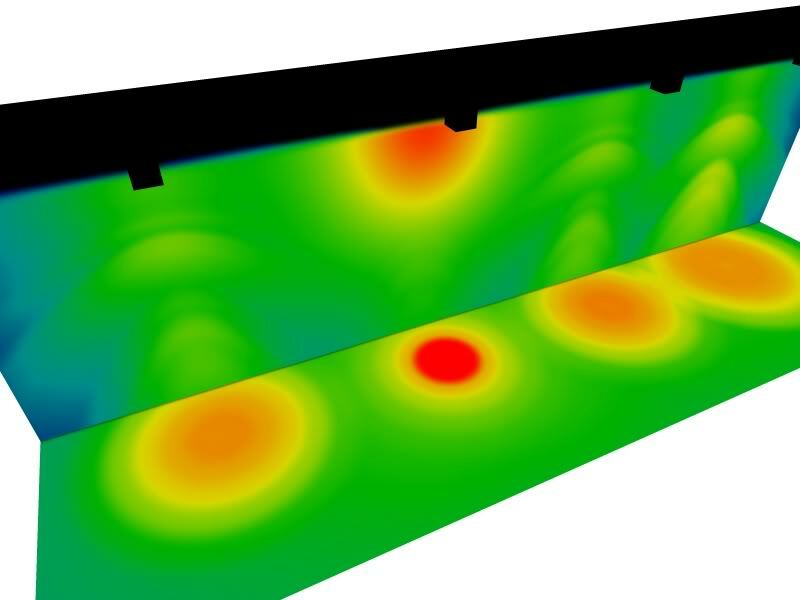 Change the time of year / time of day to perform shadow analysis using the advanced Rayleigh sunlight model. Add a 3D backdrop in the form of a Skybox or HDR Panorama images to situate your model in a realistic surrounding. 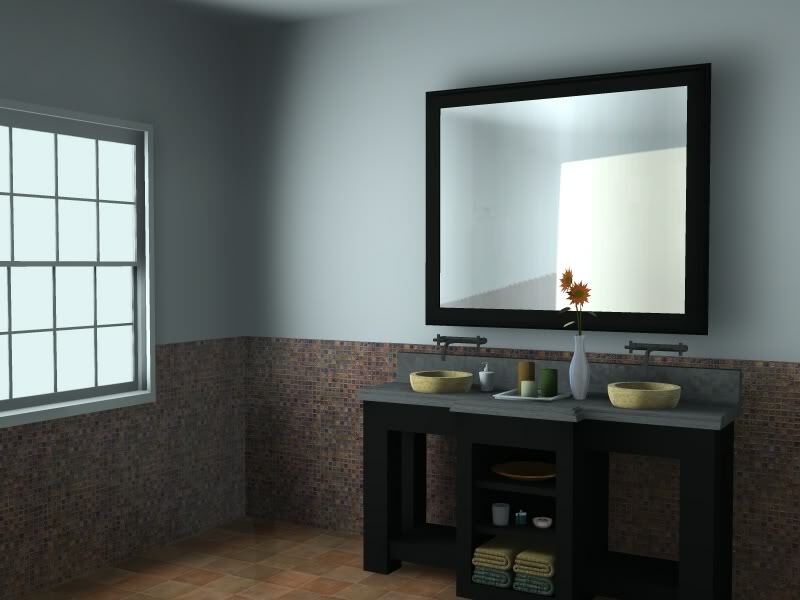 Use SketchUp Scenes tabs to author a scripted navigation around your model or take manual control and walk around your model to get a realistic sense of how your lighting works. Simple Dynamic Components are supported in Touring mode, so for example doors can open automatically as you approach to give a seamless navigation. While Touring your model, you can create instant High Resolution Stills from the current viewpoint so you can iterate quicky through a whole range of ideas. Resolution of Stills is only limited by available memory - presets for common 300dpi page sizes are available as well as standard 1920x1080, 3840x2160 sizes. All of these can optionally produce the accompanying floating point depth maps to allow further post processing. As well as anti-aliased still images, LightUp can create AVI Movies of your model in a fraction of the time of traditional rendering packages right up to 1280x720 HD format. Advanced features such as motion blur are supported for a natural look. Instant one-click exporting of Panoramas in a variety of layouts is also supported and can be used as Skyboxes within subsequent LightUp models or used to produce Quicktime VR files to share with others. Exporting your lit Sketchup model is supported using Autodesk FBX files which can then be imported into other Applications that support multi-layer materials. A one-click export/import workflow is supported for the popular Unity game authoring system. Adding light sources to your model is quick and simple and requires just placing a SketchUp Component at the position you want a light source and editing its lighting properties. Entering a Lumen value for your light source gets you started in seconds. Adding an IES luminaire definition file (available online from most manufacturers), allows you to evaluate lighting using real fittings. IES Type A, B and C light types are supported in LightUp making it ideal for both interior and exterior lighting design. Tools for orienting/targetting entire groups of lights make light rigging super quick as does the ability of LightUp to filter all light sources through any gobo or indeed any non-opaque materials the light passes through. Naturally, Area lights are supported with controls for both Lux (Lumen/square meter) as well as spread angle.The Rayleigh sunlight model provided by LightUp can be tweaked both in terms of Power and Turbidy to get the look you want as well simply being disabled. A powerful feature of LightUp is Image based Lighting which will use you backdrop as a global light source to illuminate your model. This technique ensures you have lighting that is complex and yet naturally blends with the backdrop. A powerful feature of LightUp is to produce pseudo colored models showing the distribution of light within your model. These models can be explored in Touring mode as normal and allow a deep exploration of the analysis results. Lux Analysis shows the distribution of direct local light in your model and provides a realtime lightmeter to take spot Lux measurements. Insolation Analysis takes account of the Geo-Location of your model as well as the current time of year, to produce a daily Kwh/m2/day visualization. As with Lux Analysis, a light meter gives spot results for the surface being hovered over but in addition a tracked value for the surface to aid Solar Energy analysis.